Windshield repair from NEI Glass is a time-tested means for you to extend the life of your windshield. Our repair process is so reliable that your insurance company may be willing to cover 100% of your invoice when you opt for a windshield repair instead of a full windshield replacement! 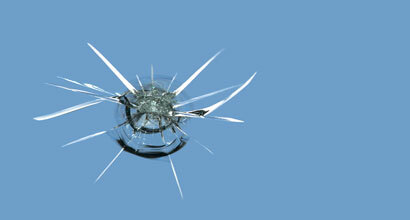 Call NEI Glass at (260) 665-1914 to repair almost any type of chip or crack in your windshield. Not all windshield damage can be repaired as the damage has already compromised the windshield's structural integrity. Chips larger than a quarter and large cracks in the glass cannot be repaired safely. In addition, we are unable to repair windshield damage that is directly in the driver's line of sight. This is due to safety concerns and liability. Schedule a windshield repair with NEI Glass as soon as your windshield is damaged. Additional impacts from debris, small bumps in the road and even changes in temperature can cause the damage to expand and eventually destroy your windshield! Your windshield is actually a safety device and even slight damage can cause it to fail when it is needed most. Click here to learn more about your windshield and the role it plays in your safety.